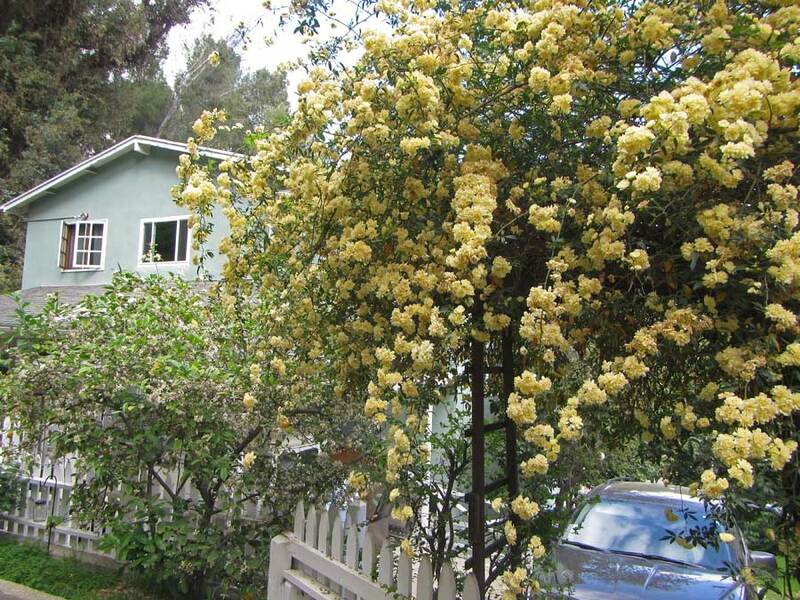 This year the Vernal Equinox finds Southern California lush from winter rains. The garden is flush with flowers. 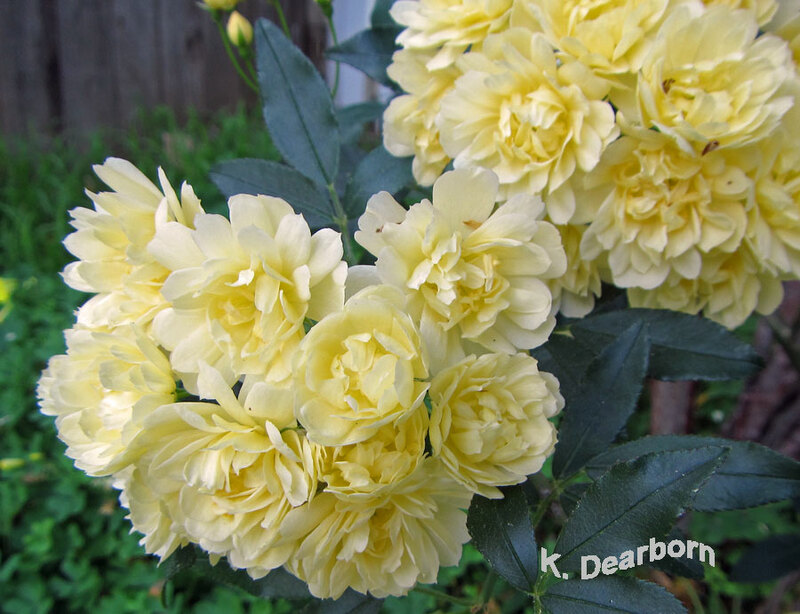 The Lady Banks rose has more blooms than leaves. While she isn't a native, the birds love this thatch of thorn-less climbing rose. The house finches and white-crowned sparrows actually nibble on the rose buds. It is a great place for small birds to hide when the Cooper's hawk is on the prowl. Several natives are in bloom already. 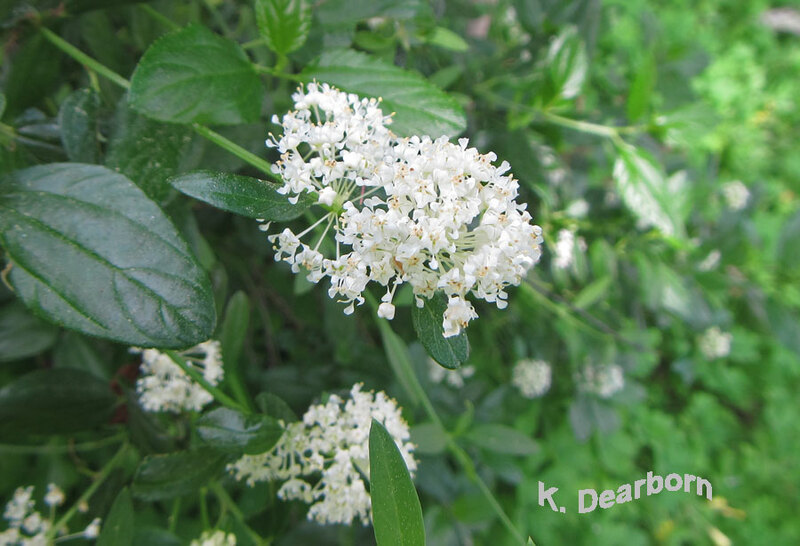 It has taken this ceanothus (snow flurry) years to establish itself, but this year the white blooms are stark against the deep green foliage. Typically our blue-colored ceanothus (concha) is more visible. 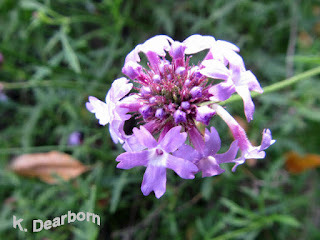 The native verbena have been strong bloomers throughout the years of drought. Several of the sparrow and finch species explore beneath them. They may be eating tiny seeds produced by the plants or be thinning out the native insects that are attracted to this flowering species. Rising summer temperatures in our area have pushed us to incorporate more natives from Baja Mexico into our backyard habitat. This Euphorbia xanti, or Baja spurge, flowers in spring and has tiny green leaves year round. It can be invasive, but up on our hillside it helps with erosion, is drought tolerant, and provides another thatch for avian parents to leave their youngsters. 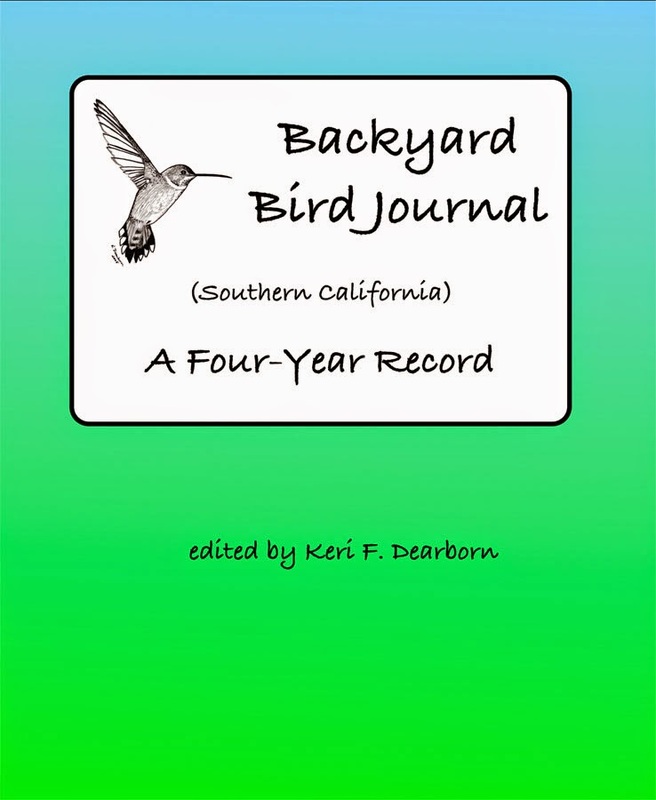 It has served as a play pen for our California towhees and Bewick's wrens. The maze of tiny branches provides roosting and protection for young birds left on their own during parts of the day. 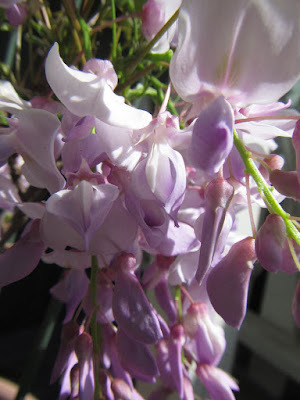 While native plants are a priority for me, I have to admit that two of my favorite flowers in the yard right now are decorative non-natives: the wisteria and the clivia. 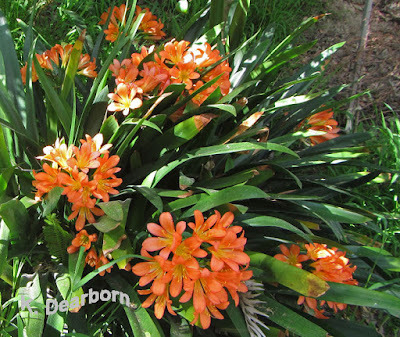 Named in honor of Lady Clive, Charlotte Percy the Duchess of Northumberland, in the early 1800s, Clivia miniata, or Kaffir lily, are beautifully flowering plants from shadowy forests of Africa. They are incredibly sturdy. The hybrid individuals in our yard came with us to this house over 20 years ago. They were separated from ancestors in Pasadena about 30 years ago. Clivia are somewhat drought tolerant if planted in shady protected locations. And if they don't seem to be thriving, you can dig them up and move them. Some of my plants have been moved three or four times before finding a location with protection, but enough morning sun to inspire blooming. 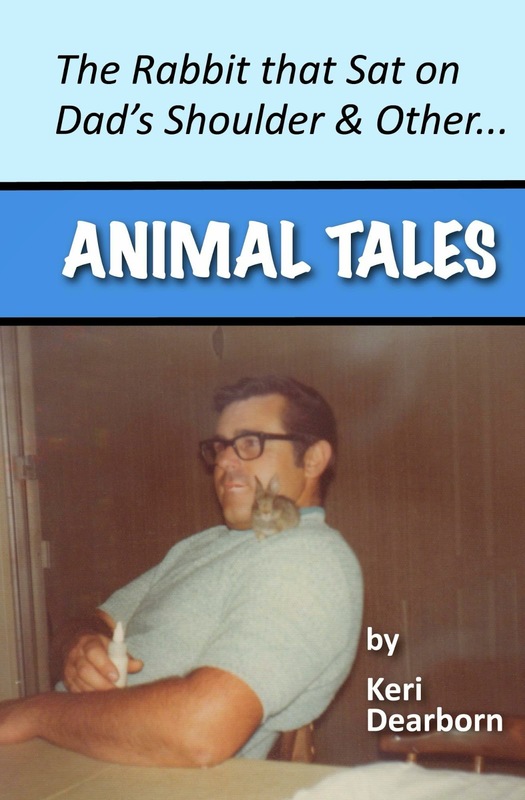 One huge plus: the gopher won't eat them. The Wisteria sinensis is a Chinese import, but known for adapting to Southern California weather. 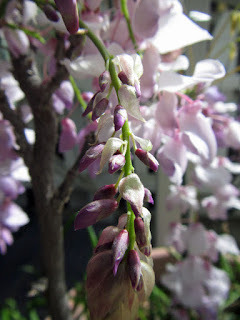 My wisteria is doing fine in a pot on the patio. 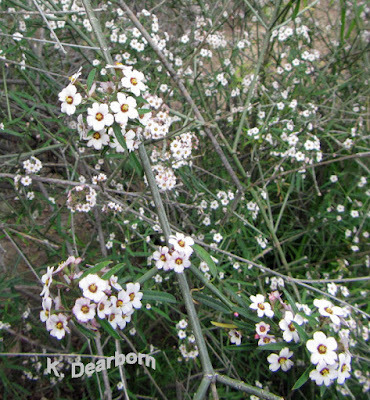 It is also drought tolerant, but in a pot requires closer water attention. Not only are the blooms natural art, the valley carpenter bees love to visit them. This surprises me, but I am thankful that such a beautiful flower plays an important role in my backyard habitat. The hummingbirds also like to sit on its thin vine stems. On this first day of spring. Take a moment to refresh your mind and spirit with the new life around you. Our first hummingbird chicks of the year fledged on Friday and the Bewick wrens have seven eggs in their nest. Soon the yard will be filled with baby birds.